In any sport training needs variety to keep the athlete fresh. 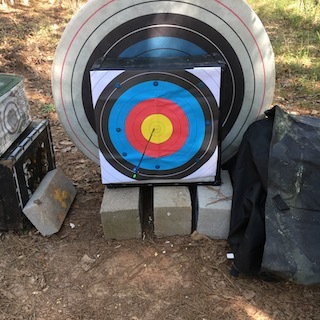 Archery is probably the least exciting when it comes to practice of any sport I’ve done. Football was always exciting. Practice typically meant some form of hitting. Same with karate. Cycling, running and swimming can become routine. There are plenty of new trails and roads to keep cycling and running fresh, as does changing intensity and training solo or with a group. Swimming can be mind numbing especially when your goal is some long swim, only. But, archery is in a class of its own. Archers frequently practice alone often in their backyards. Shoot over 100 arrows a day for years at 20 yards and you’ll understand routine. You’ll also be really good at 20 yards. Fortunately, I’ve had and still have a range. In fact, I have two, one for 3D and one for dots. Everyday I practice on those ranges. To mix it up I lay out specific practice goals. Believe me that helps. 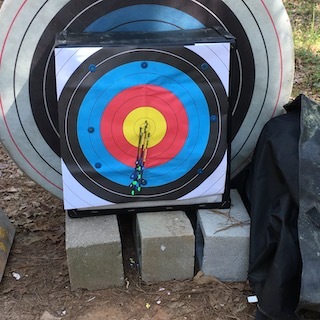 Archers that live in cities and rely on indoor ranges, public outdoor ranges at parks, and backyard ranges have grit. They have discipline and often a little extra cash for range fees. For those archers that live in the country and have enough property to create our own ranges count your lucky stars. It started off great; it didn’t last. 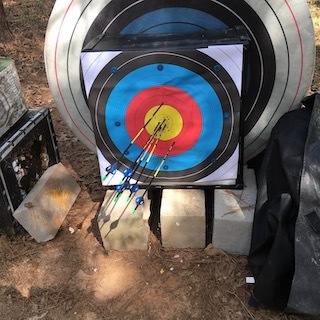 Once again, hoping for a personal best, judging from the first 6 arrows, things – like accuracy – began to diminish. To be fair, the wind, which at the onset of practice had been non-existent, picked up. It picked up enough to blow my back stop over. I finished the practice 13 points below my personal best. Wind is no friend to archers or cyclists. You can see the back stop is on the ground. Lately, my scores have taken a serious nosedive. Nothing that has caused me excessive worry. 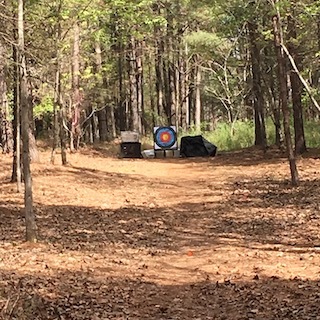 It is understandable that my scores, which had been steadily climbing over the past couple of years, would suffer during a prolonged migration home to Georgia with its accompanying lack of practice. Sure, the scores suffered but there is no need to panic. 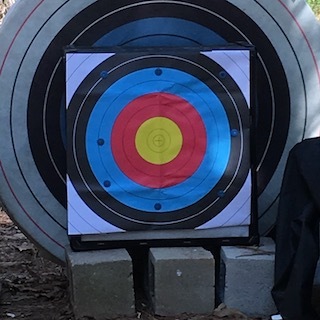 Lately, my investments have matched my archery scores. A couple of nose-dives but nothing that has caused me excessive worry. 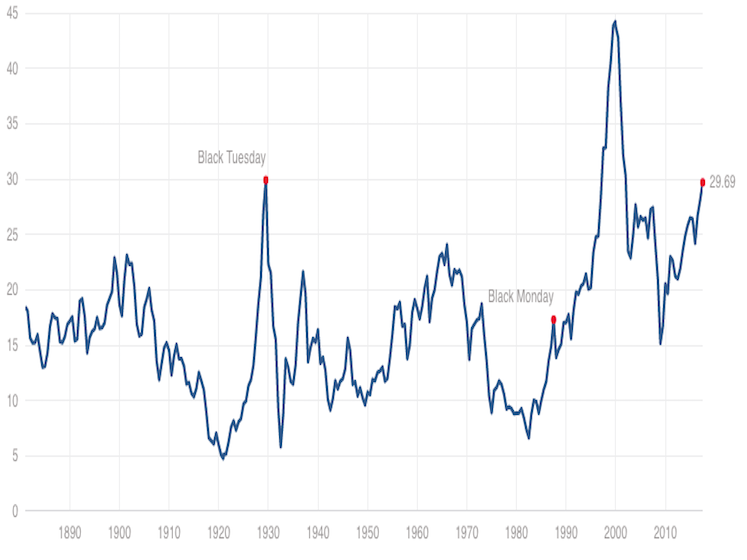 At the moment, the market has a slight dump up, so do my scores. 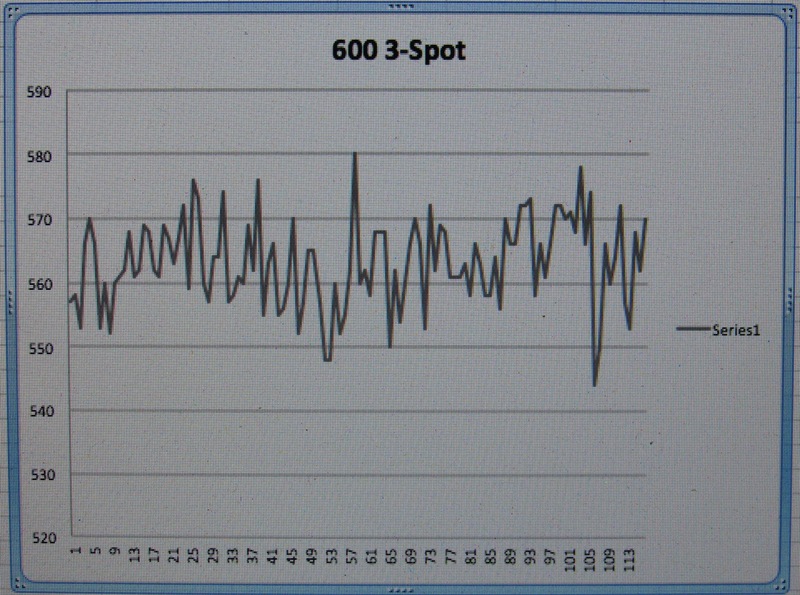 So, from here on I’ll use my archery scores as an indicator of the market and invest accordingly. Seems as good as anything else.